Which state is in the middle of the Pacific Ocean? 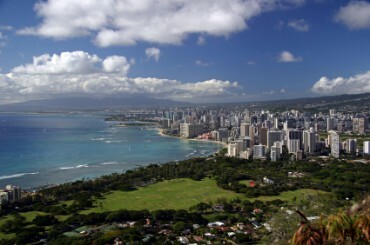 Hawaii is our 50th state and it is made up of eight main islands. 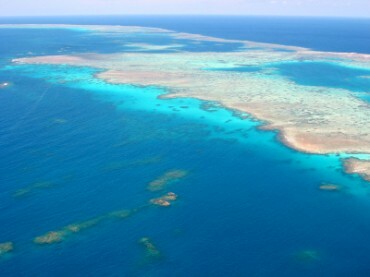 It is the Great Barrier Reef of Australia. It is located in the Coral Sea, which is near the Pacific Ocean. What are the people in this picture doing? 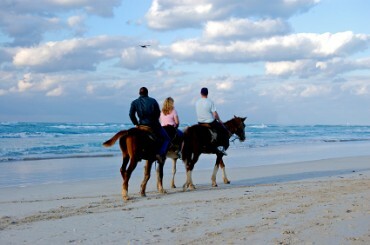 They are riding horses along the Pacific Ocean. Copyrights to the pictures and photos on this ESL website belong to individual photographers. We have purchased the rights to use them. Do not copy the pictures on this site. Permission is granted to copy any of the worksheets for classroom use. Permission is granted to link to any page of this website. Contact Christina Niven at christina@elcivics.com. Please send corrections, comments, greetings, and requests for new photo tours, lessons, and civics units. Copyright © Christina Niven, 2007.